The center stone section of this 1778 stone mill was built in Pittstown by New Jersey Deputy Quartermaster General of Provisions, Moore Furman. The mill produced flour to feed General George Washington’s army at encampments throughout the state. This old postcard image shows later additions to the mill. 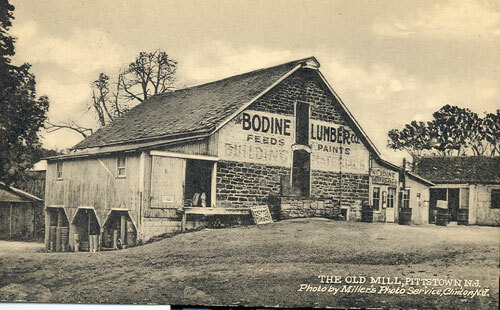 The Bodine family ran a feed, lumber, and paint company there from 1897 to 1981. This local landmark still stands.